Hey, We're the Stoeckels from Auburn. We've been in here for about 4 years now and lovin' it! One of my dreams was to live on a mini-farm and raise chickens....well, we live in the town of Auburn...so there goes my minifarm dream, but I am getting chickens! YEAH! Auburn recently passed a "Urban Chicken Keeping" ordinance that allows property owners to keep up to 6 chickens on their property. We have enough land to keep 6, but will start with three. My husband is a faculty member at AU (War Eagle!) and has two grad students are helping out with the flock. 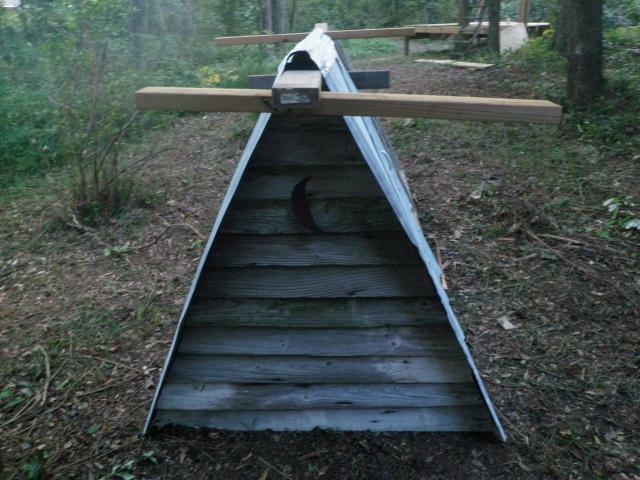 The boys (i.e., the grad students) cleared a portion of our property and built the coop......from recycled materials, I might add! It's awesome! We will all share with the eggs and caretaking. I'm pretty excited! 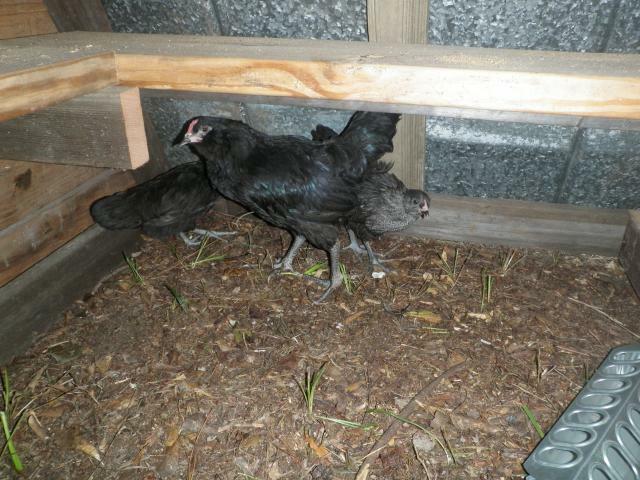 On August 13, we all travelled to Wetumpka, AL to collect our girls from Heritage Farms! Mr. Randy was very nice and accomodating...we had all three kids with us, they were very rambuncious and enjoyed seeing the chickens and the donkeys! 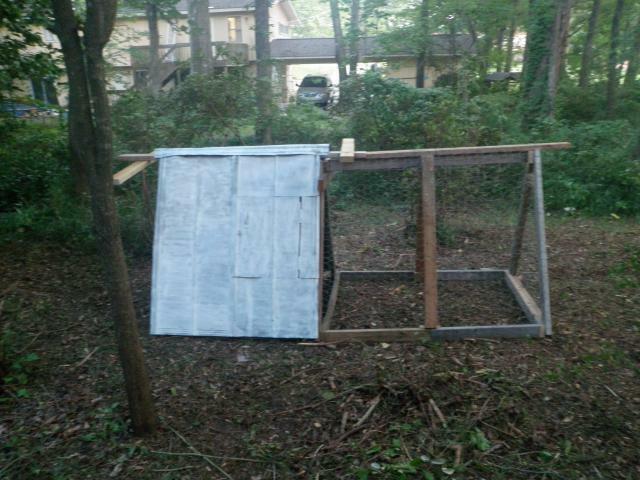 Here is the coop as seen from the side. That's our home in the back. Here's the back. Our friend did a wonderful job of making the coop look nice. Here you can see the half moon that he cut from old sheet metal and placed on the back. We have a storm cloud in the front. Here's our girls! Fresh from Heritage Farms. They're a little nervous now...I'm sure they'll loosen up and feel at home very soon!